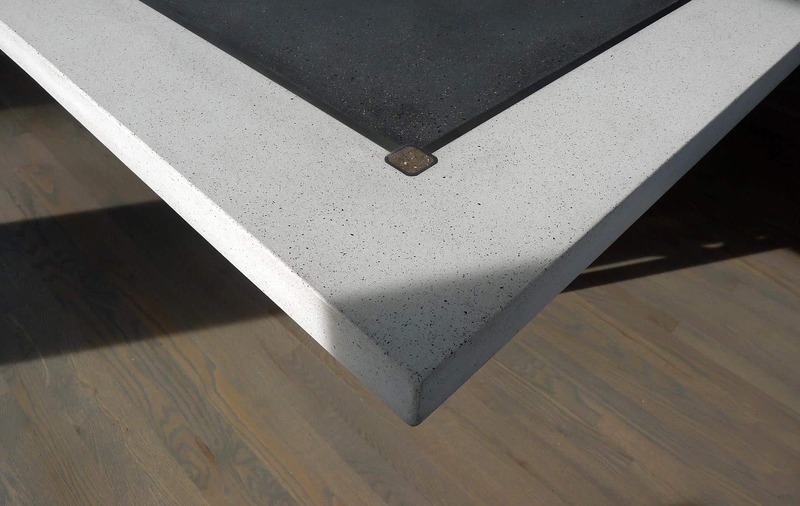 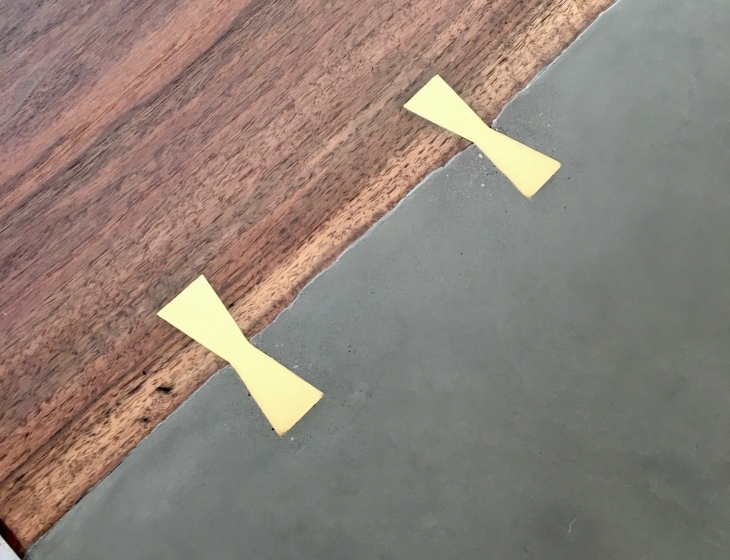 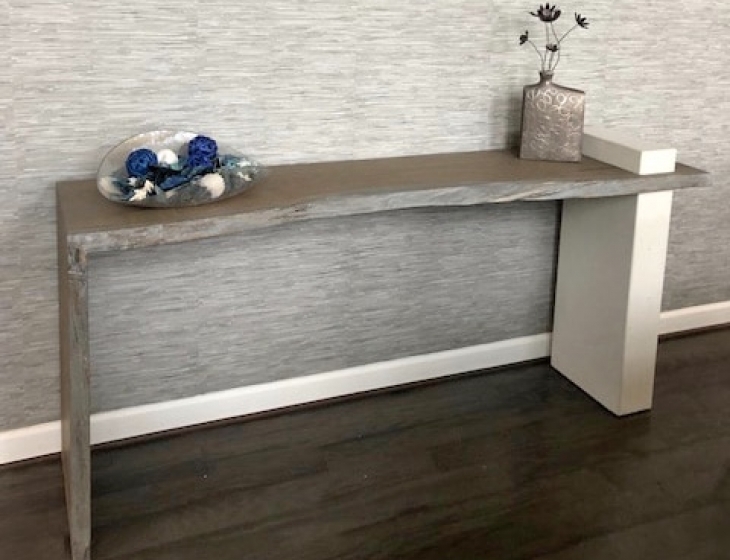 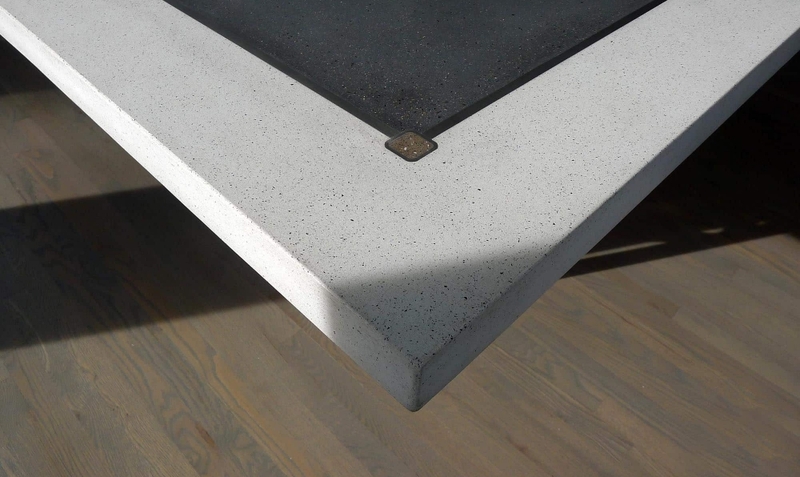 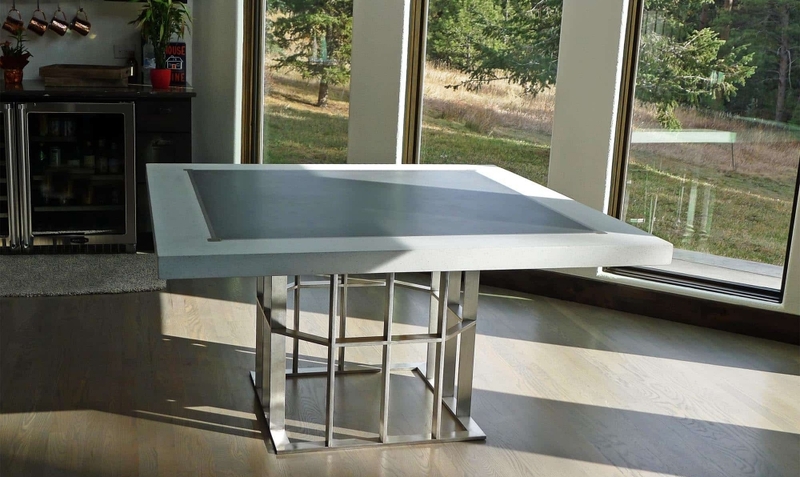 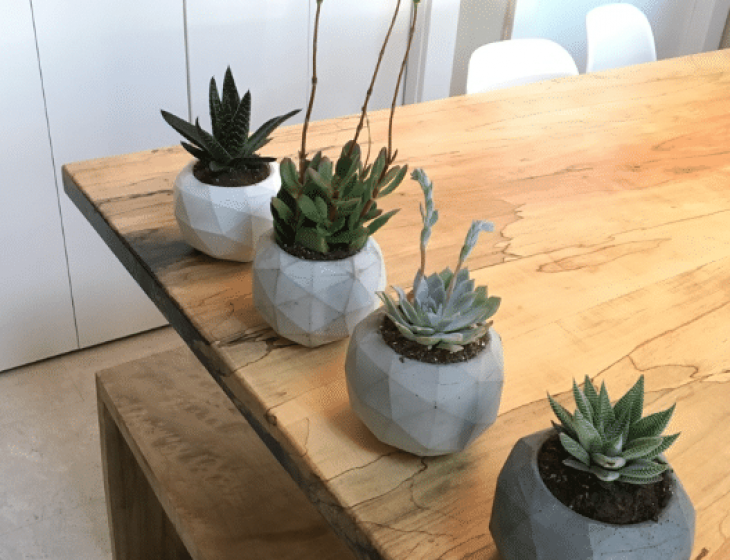 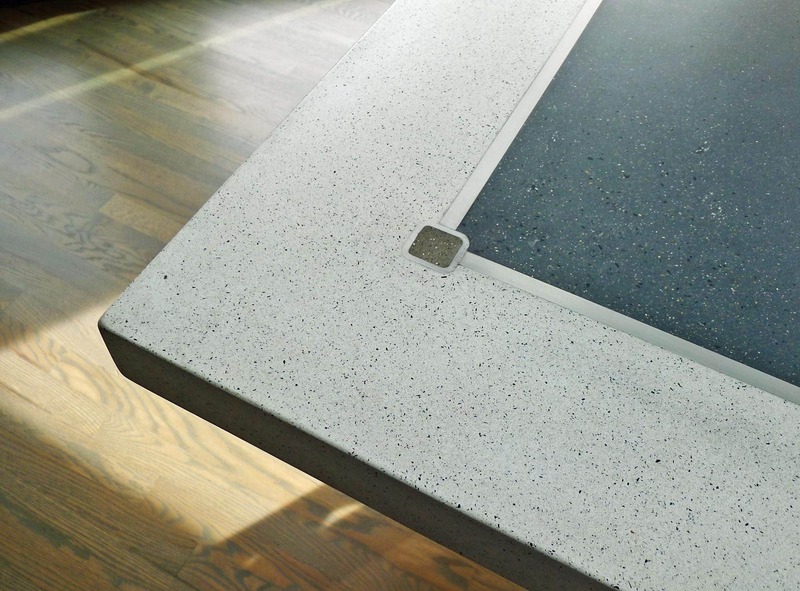 Detail shots of our polished concrete and stainless steel dining table for a mountain modern residence in the Denver foothills. 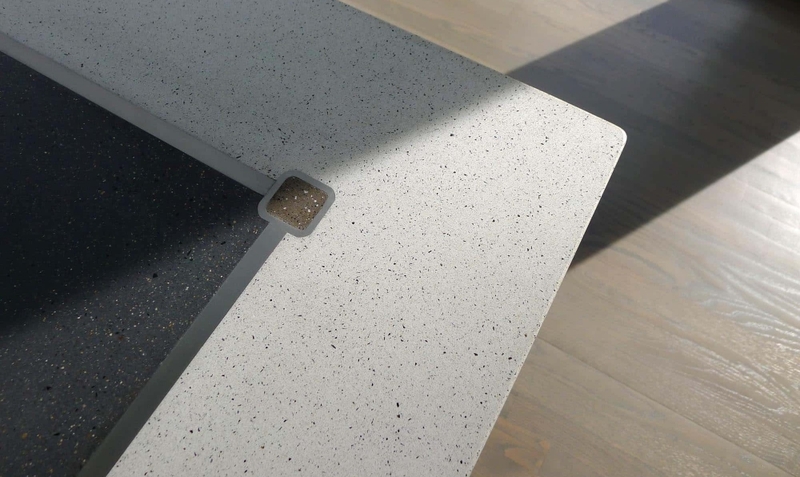 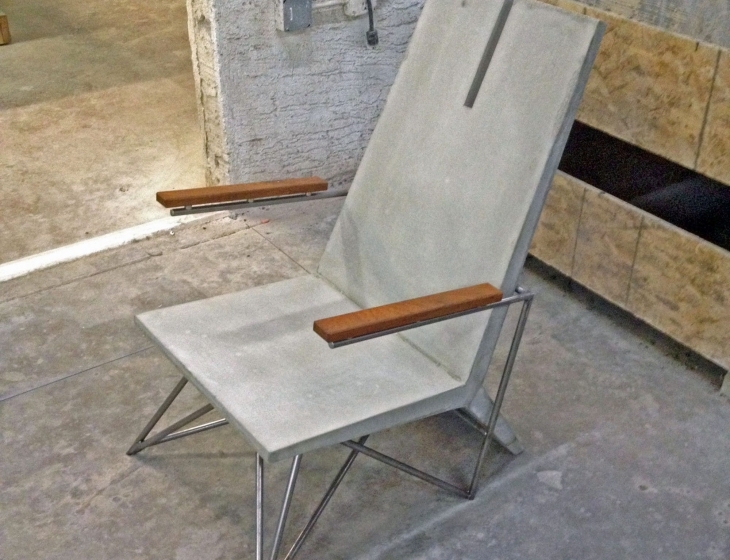 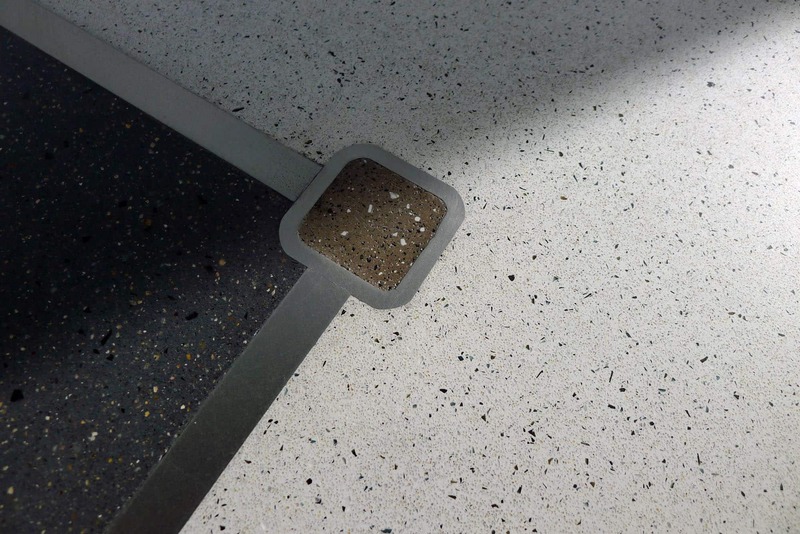 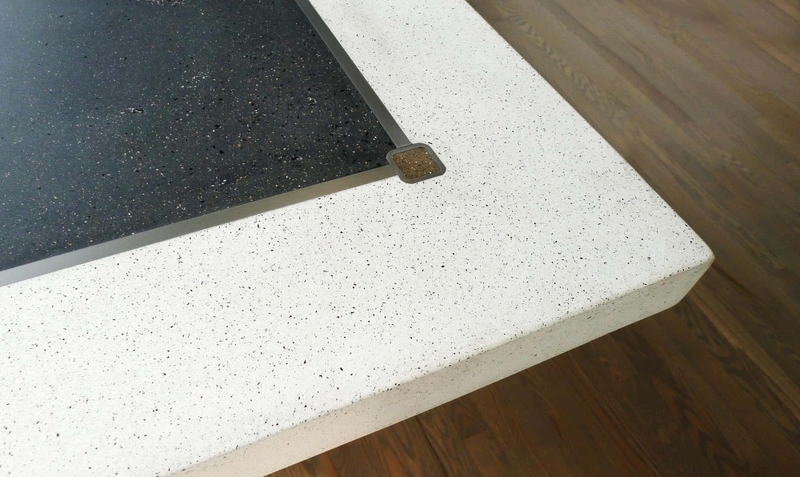 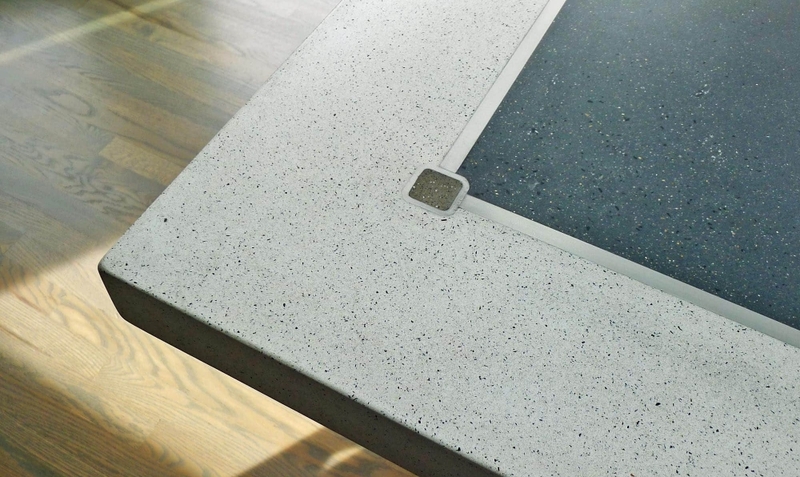 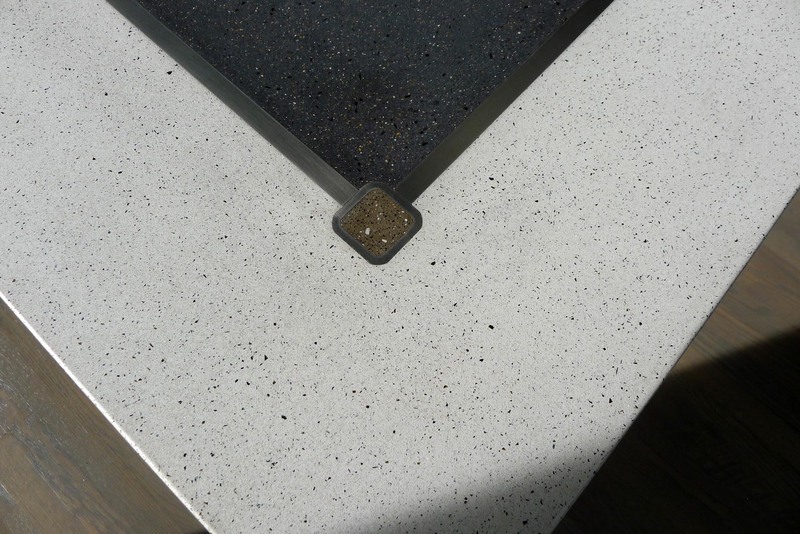 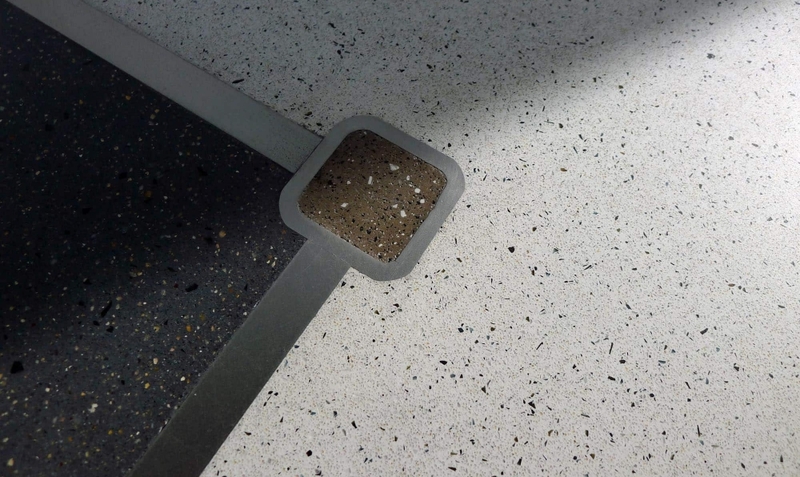 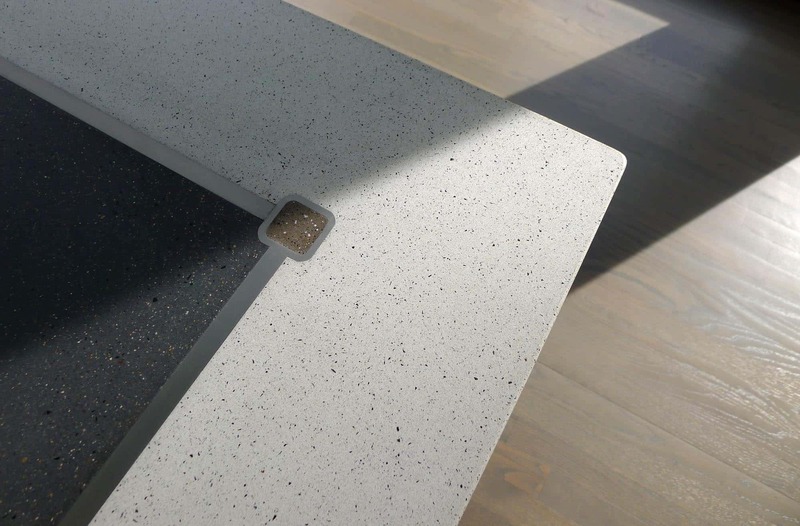 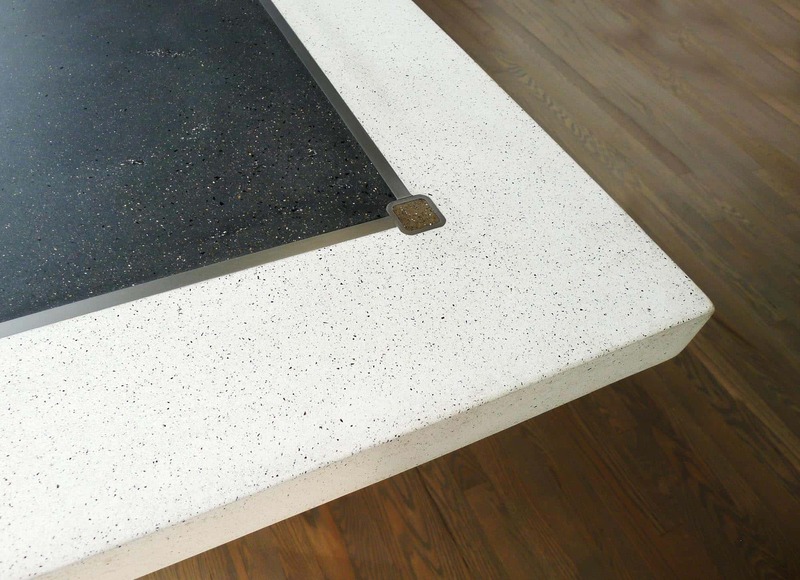 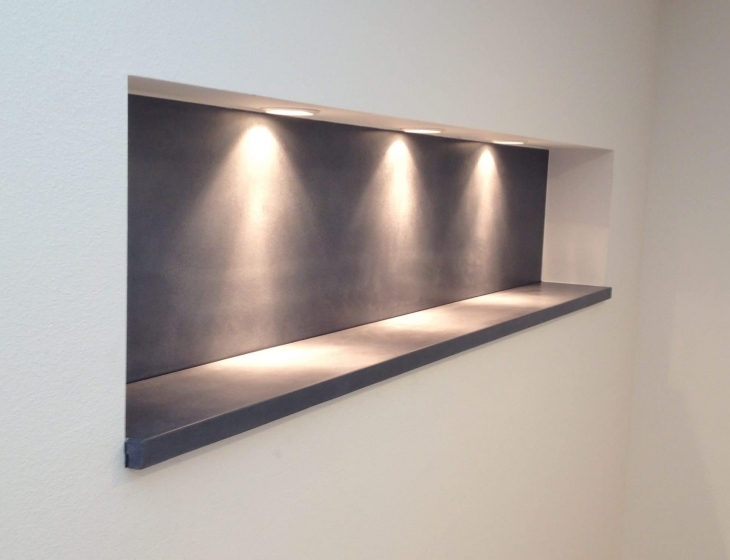 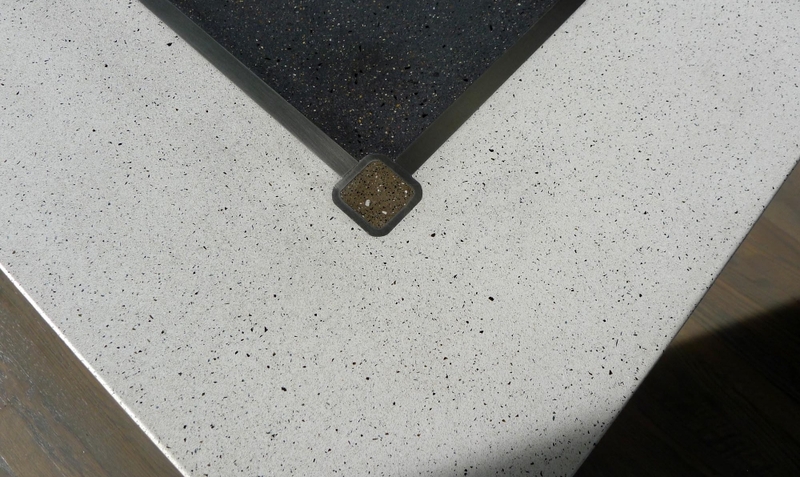 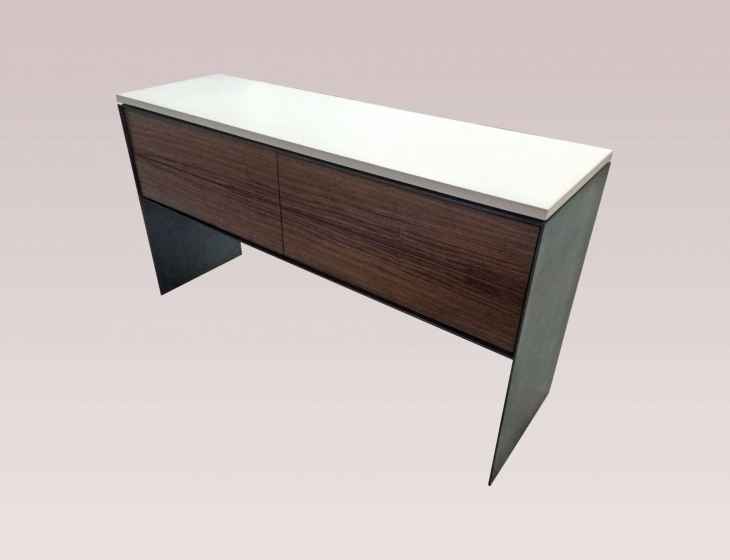 Featuring 3 colors of concrete with custom aggregate separated by flush stainless steel borders. 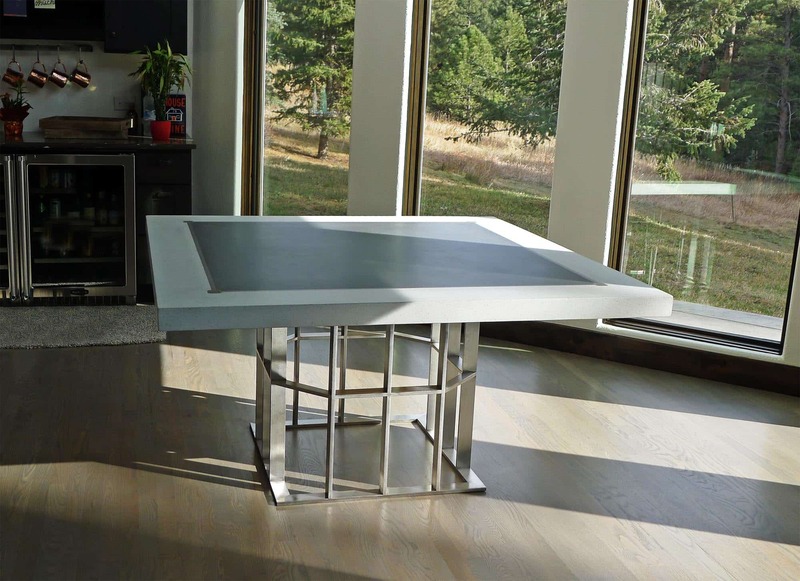 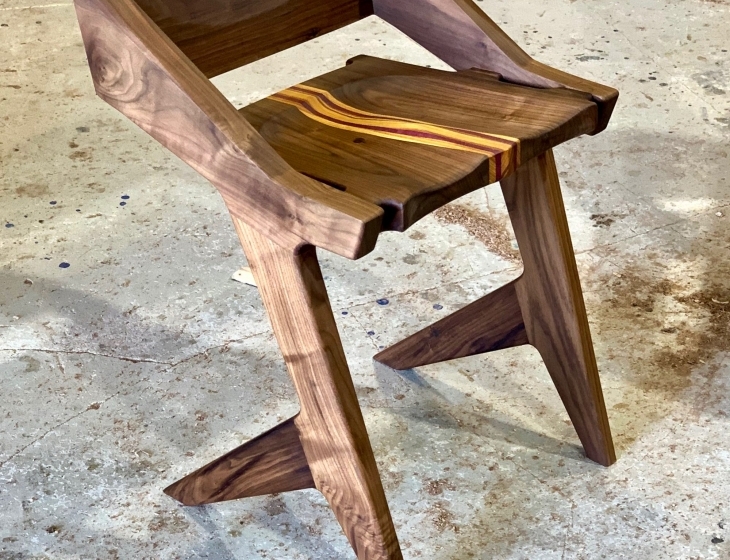 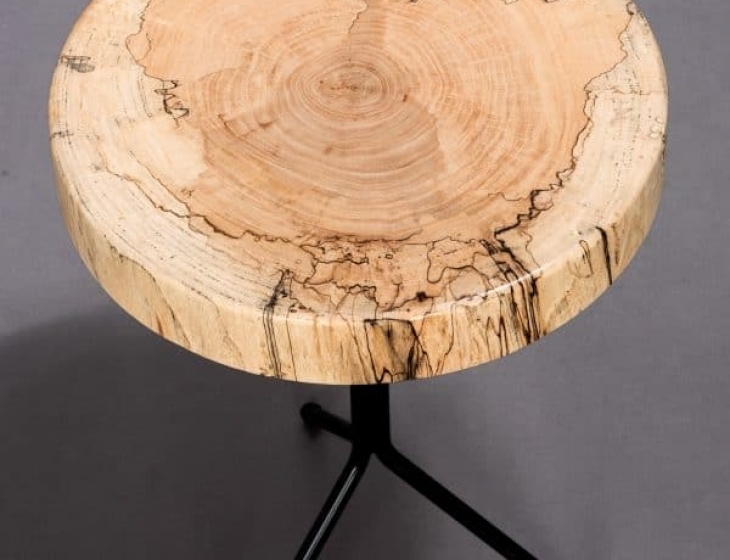 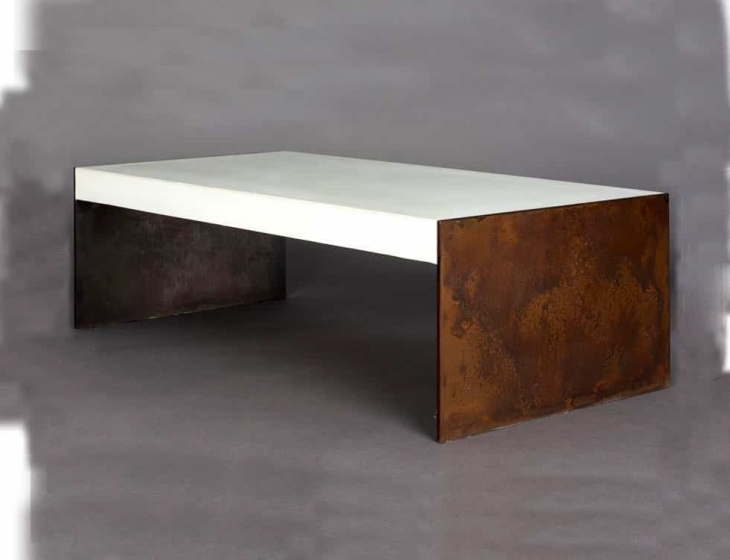 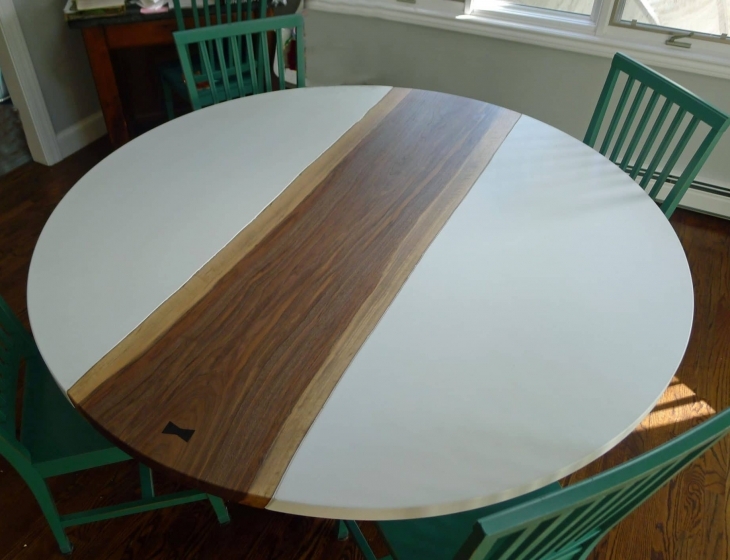 Table is 60″ x 60″ (5 feet) square.